Civilization began in Mesopotamia over 5000 years ago. The world's first civilization began on the southern plain of Mesopotamia, known as Sumer, around 3500 B.C. Sumerian streets and markets were busy with life-sustaining trade. 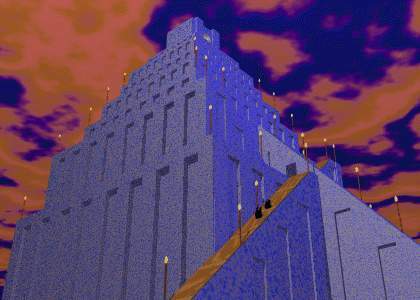 The Sumerian city-state of Ur contained an enormous mountain temple, known as a ziggurat, to honor the moon-god, Nanna. Most Sumerian cities were surrounded by high walls to keep out would-be invaders. 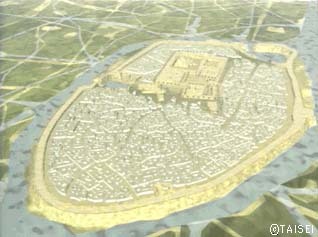 The city-state of Ur is believed to have also been surrounded by a great moat. 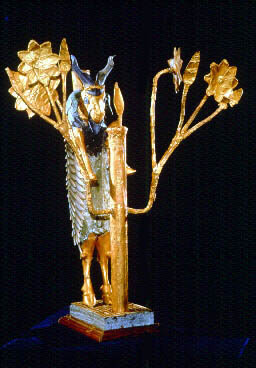 A harp, made in the image of a bull. 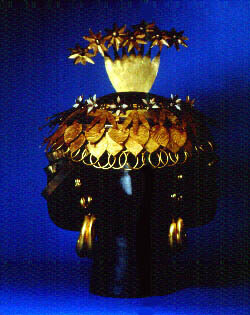 This headdress belonged to a Sumerian queen. 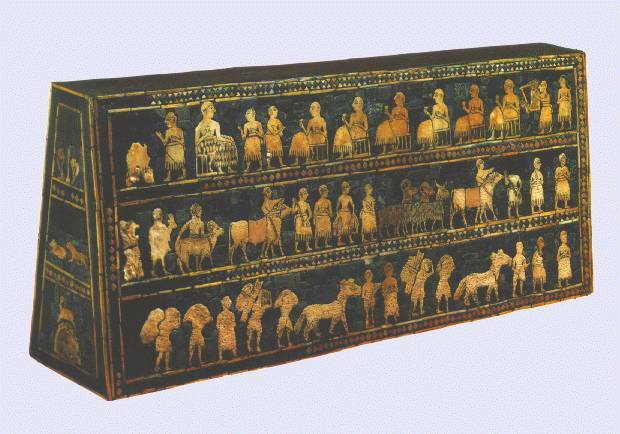 The Standard of Ur is comprised of the two mosiac panels of an inlaid box. The Standard is important because it portrays the 3 main social levels in the city of Ur. 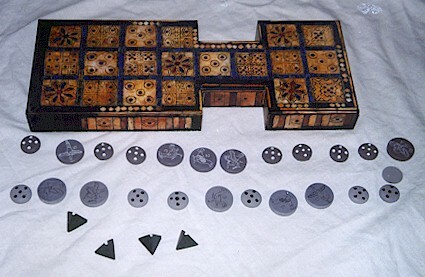 This boardgame, found in the Royal Tombs of Ur, is perhaps the oldest in the world. The "Epic of Gilgamesh" is perhaps the oldest known story in the world. It centered on a legendary king from the Sumerian city-state of Uruk. 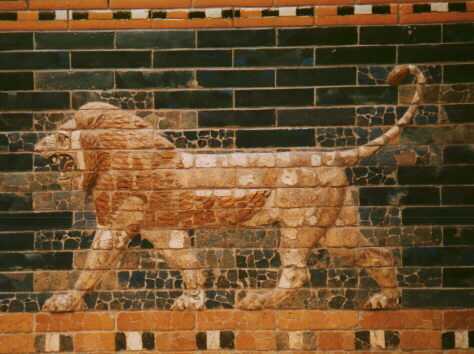 Later Mesopotamian civilizations adopted this myth as their own. It was finally written down on clay tablets like the one above, in the wedge-shaped written language of cuneiform. Write your name in Cuneiform! This picture depicts a scene from the "Epic of Gilgamesh". These statues were placed in Sumerian temples by worshippers. The statues were believed to pray for the person who put them there. Sumerian merchants used cylinder seals to mark the completion of a trade agreement. Gudea was an important ensi, or priest-ruler, of the city-state of Lagash. This female head originated in the city-state of Uruk. The city-states of Mesopotamia were finally conquered and unified by the ambitious ruler, Sargon. He created the world's first empire, Akkad. The Assyrian Empire was unrivaled in its cruel, ruthless methods of warfare. 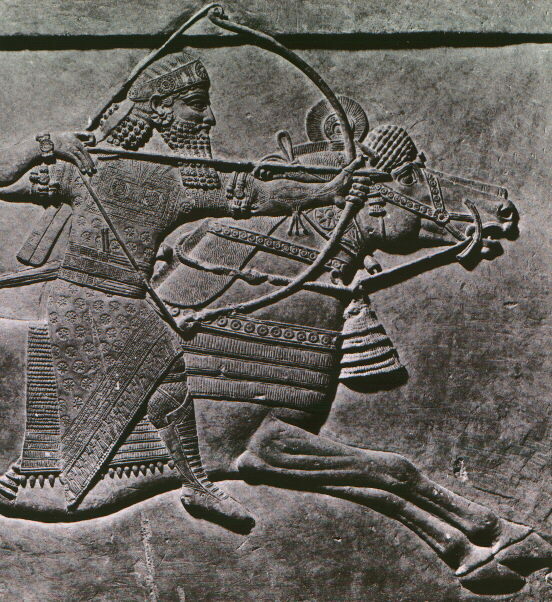 This stela depicts an Assyrian archer. View satellite imagery of the ancient capital city of Assyria, Nineveh. 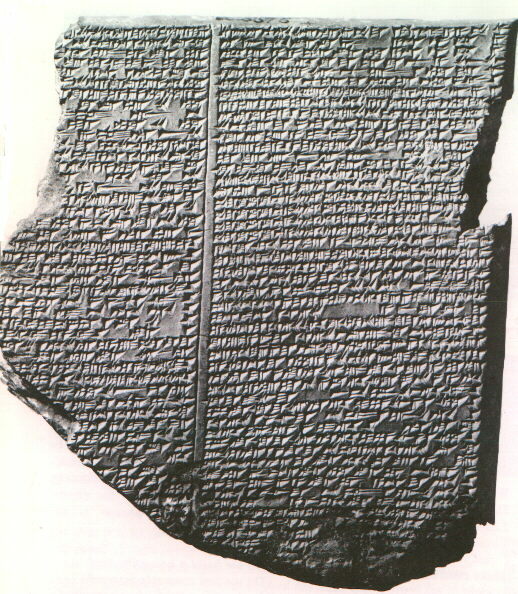 Hammurabi, an early ruler of Babylonia, created an important written law code. 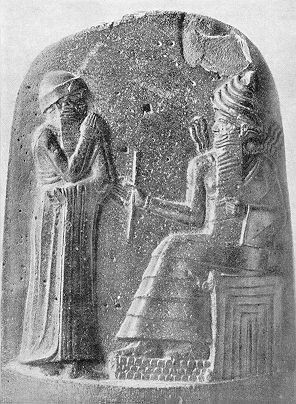 This stela depicts Hammurabi receiving the law code from Shamash, the sun-god. A truly enormous ziggurat dominated the skyline of the capital city of Babylon. It was referred to as "E-temen-enki", the "foundation of heaven and earth", or the Tower of Babel. 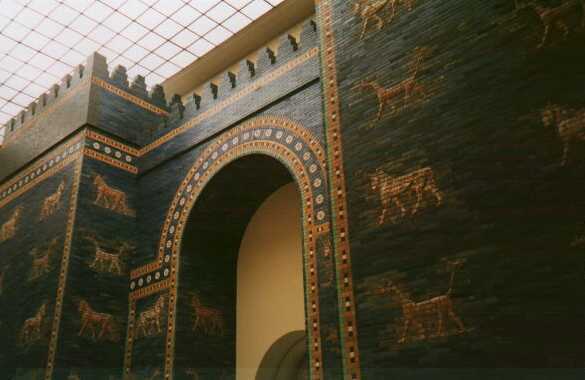 The Ishtar Gate was the triumphant entry-way into the city of Babylon. It was dedicated to Ishtar, the goddess of carnal love. 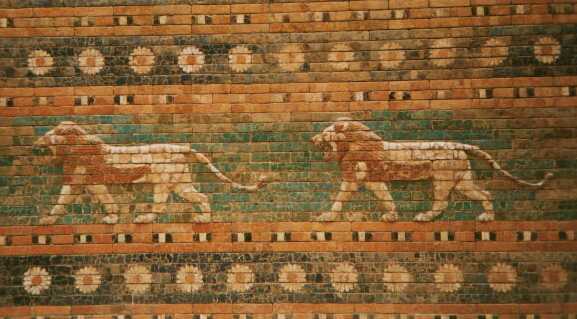 Close up of the lions that adorn the Ishtar Gate.